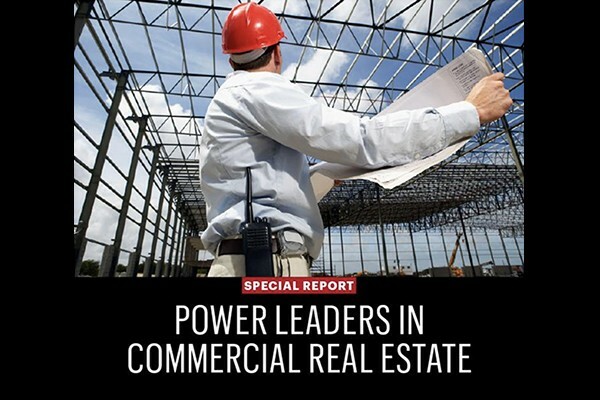 This year’s roster of Power Leaders in Commercial Real Estate, you’ll see how they highlight many of the major deals and contributions that accentuate how much the industry has improved since the Great Recession. Like past years, we reached out beyond our newsroom to get feedback from many sources to honor those who consistently help to broker these high-profile deals, and also the new players who landed important work. These are the heavy hitters helping to buoy the once struggling sector, and we congratulate them. We feel this list is an accurate snapshot of the influential players in the region’s flourishing real estate industry today. State Street Realty, a Miami based commercial real estate brokerage and advisory firm recently completed two transactions totaling over $10 million. Frank Trelles, SIOR, Vice President, Brian Cabielles, Associate and George Pino, SIOR, President executed these deals on behalf of A Custom Brokerage, Inc. The first transaction was the sale of a 50,000 square foot free-standing warehouse building located at 1900 NW 97 Avenue, Doral FL, within Beacon @ 97th Avenue Business Park that sold for $7,602,000. TLG Real Estate Services represented the Buyer Hollermans FZE. The second transaction was a 50,000 square foot warehouse lease with the Landlord GLP US Management LLC located at 2750 NW 84 Avenue, Doral, FL within Transal Business Park. Newmark Knight Frank represented the Landlord. Trelles and Pino worked directly with the Tenant, A Custom Brokerage, Inc. on this lease transaction. STATE STREET REALTY is honored and humbled to be named a finalist in two (2) categories: 1) Broker of the Year (George Pino) and 2) Industrial Broker Team of the Year (Ed Lyden, Frank Trelles, Brian Cabielles & George Pino. NAIOP South Florida, the Commercial Real Estate Development Association, recognizes the individuals and organizations whose achievements have contributed to the local commercial real estate industry, benefitted the regional business environment and facilitated economic growth in South Florida. 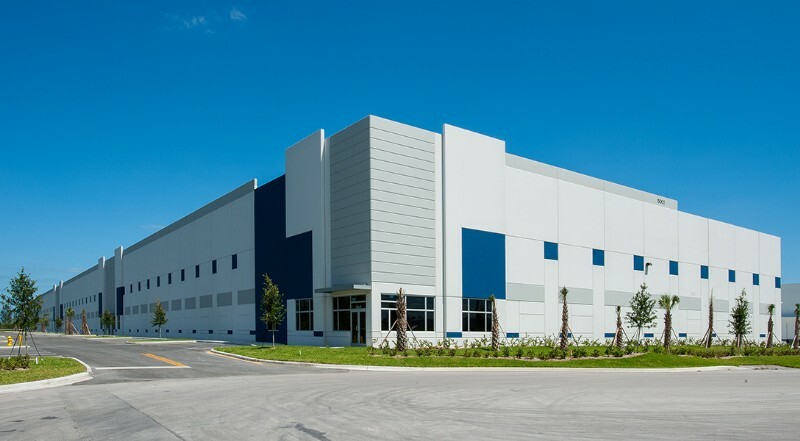 The South Florida office of Duke Realty announced that Miami Industrial Logistics Center, its three-building, 676,835-square-foot industrial hub, is 93 percent leased, just 18 months after it acquired the newly constructed, completely vacant industrial development. Blue Water Shipping is the latest tenant to choose MILC, which is located in the Hialeah Gardens submarket of Miami on the east side of Florida’s Turnpike at U.S. 27. The logistics and transport services provider will occupy 69,504 square feet in MILC 14802, leaving only two 21,000-square-foot spaces unoccupied. Jeff Hartsook and Patrick Willis of Cresa’s Industrial Team represented Blue Water Shipping in the lease deal. Stephanie Rodriguez, along with Frank Trelles and Brian Cabielles with State Street Realty represented Duke. 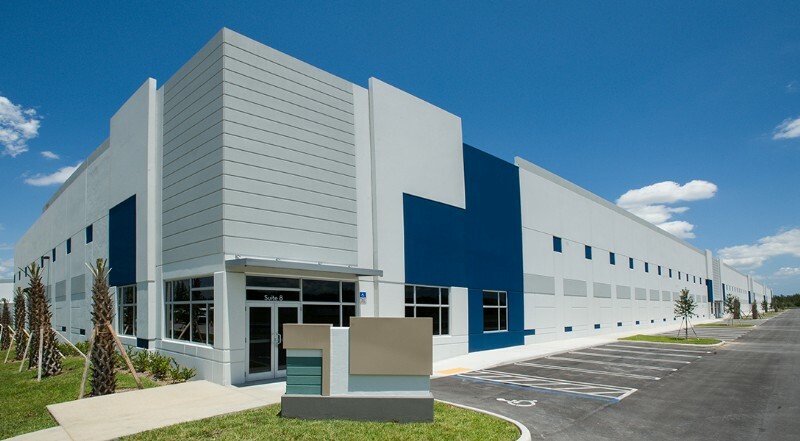 The South Florida office of Duke Realty (NYSE: DRE), the leading domestic-focused logistics property REIT (Real Estate Investment Trust) in the country, announces that Miami Industrial Logistics Center, its three-building, 676,835-square-foot industrial hub, is 93 percent leased just 18 months after it acquired the newly constructed, completely vacant industrial development. Blue Water Shipping is the latest tenant to choose Miami Industrial Logistics Center (MILC), which is located in the Hialeah Gardens submarket of Miami on the east side of Florida’s Turnpike at U.S. 27. The logistics and transport services provider will occupy 69,504 square feet in MILC 14802 leaving only two 21,000-square-foot spaces unoccupied. 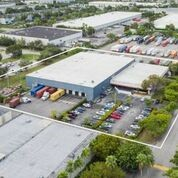 Duke Realty acquired Miami Industrial Logistics Center in May 2017. All three buildings in the portfolio are modern, state-of-the-art facilities with 32′ clear heights, 60′ speed bays, large truck courts and ample automobile parking. Patrick Willis and Jeff Hartsook with Cresa represented Blue Water in its lease, while Duke Realty was represented by Stephanie Rodriguez and Frank Trelles and Brian Cabielles from State Street Realty. State Street Realty has started 2019 strong by completing more than 400,000-square-feet of office and industrial transactions throughout the South Florida area and other cities throughout the United States. The State Street Realty team of President George Pino, SIOR, Executive Vice President Ed Lyden, Vice President Frank Trelles, SIOR and Associate Brian Cabielles all working on behalf of landlord’s, tenant’s, investor’s, developer’s and other clients recently completed the lease transactions valued over $29 million. 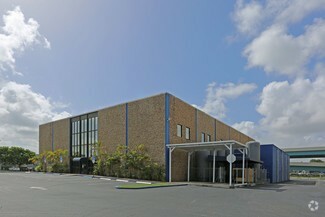 “The Miami industrial real estate market is one of the healthiest and most dynamic in the United States. The outlook for industrial real estate in 2019 is bright, with continued strength in property fundamentals, e-commerce, rent growth and strong absorption,” stated Pino. Orange Bowl Committee Recognizes George Pino for His Leadership, Commitment and Dedication to the OBC during the 2018 College Football Playoff Semi-Final. State Street Realty, a Miami-based brokerage and advisory firm working on behalf of the Buyer, has closed on the sale of an office property located next to the Miami International Airport. The property is approximately 25,000 square feet and is well-located at 7500 NW 26 Street in Doral. The building sold for $4,225,000. George Pino, SIOR, President and Brian Cabielles, Associate at State Street Realty represented the Buyer, Bardisa Enterprises, LLC. Industrial Group Realty, Inc. represented the Seller, Terreno 26th Street LLC. 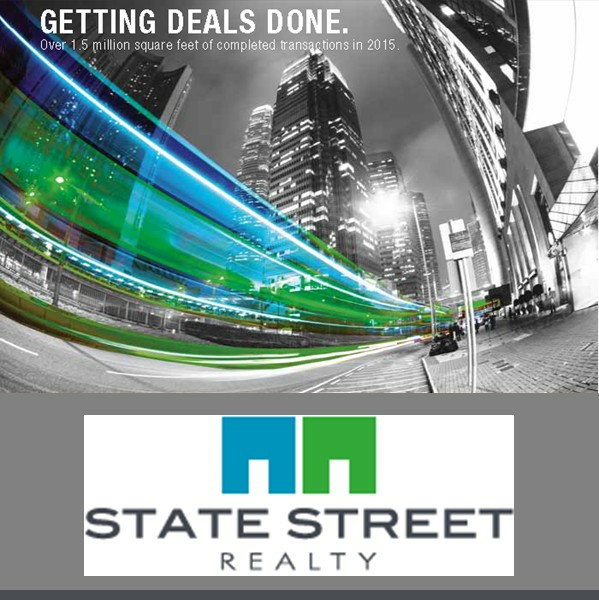 State Street Realty managed three Doral leases: Avanti Way Realty, Guidewell-Sanitas, and Doctors Medical Center. 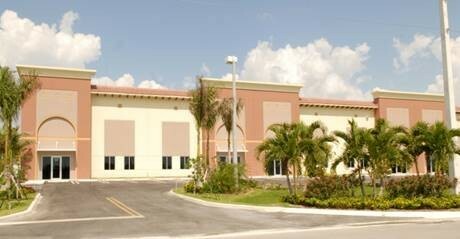 • Doctors Medical Center leased 22,000 square feet of office space at 5605 NW 82 Avenue in Doral. State Street Realty Vice President Frank Trelles, SIOR and President George Pino, SIOR and Associate Brian Cabielles represented the Landlord. 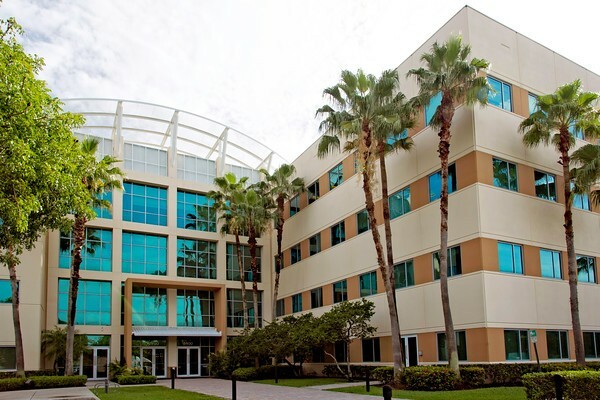 • Guidewell-Sanitas leased 21,038 square feet of office space at Westside Office Plaza (pictured above – click on the image to enlarge) located at 8400 NW 33 Street in Doral. Pino and State Street Realty Executive VP Ed Lyden represented the Landlord. • Avanti Way Realty also leased 6,615 square feet of office space at Westside Office Plaza. Pino and Lyden represented the Landlord. Andres Korda of Avanti Way Realty represented the Tenant.